This is a perfect drink, refreshing, healthy and with a nice kick to it. My kids do not really like it, but I do!!! This taste better when super cold, so ice cubes play big role here. 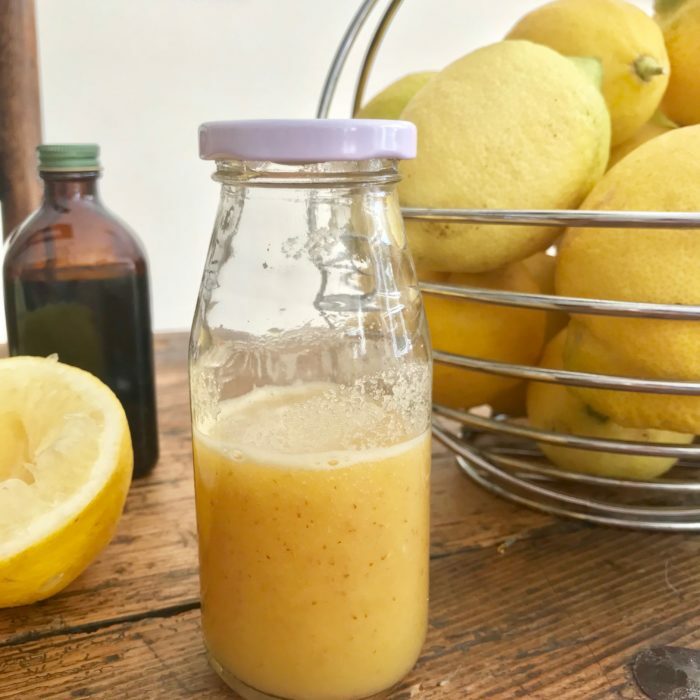 Juice the lemons and transfer everything to a powerful blender. Process and run it through a sieve. Pour a little in glasses, add ice cubes, sparking water and some mint leaves and enjoy!